Unreality Shout(28th) - Russell T Davies shoots down those Johnny Depp for Doctor Who rumours! The Atlantic(28th) - "A Veritable Who-fest"
Clash Music(26th) - Manic Street Preachers For Doctor Who? Guardian(26th) - After Sherlock, which classic tales should Steven Moffat update next? Express and Star(26th) - Sherlock Holmes: Doctor Who in waiting? Musical coverage in this article, with the Doctor Who Prom and Nicky Wire from the Manic Street Preachers vying for attention (the latter writing a script according to his blog ...). Meanwhile, an online voting debacle in the Guardian (for once someone else other than Doctor Who fans getting the blame for vote organisation!). Comic Book Resources(23rd) - Doctor Who Gets Manic For New Season? TV Overmind(23rd) - Moffat: The Doctor May "Never Regenerate Again"
SFX(23rd) - Is Toby Whithouse Writing For Doctor Who Season Six? PeaceFM(23rd) - 'Being Human' Creator For 'Who' Return? 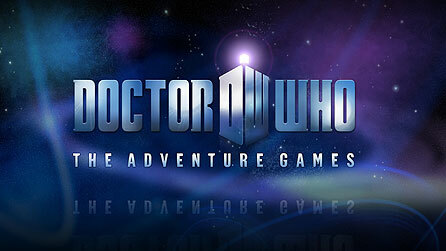 Adventure Gamers(24th) - Doctor Who costs how much? A.V. Club [US](25th) - "The Big Bang"
Digital Spy(25th) - John Barrowman to star in 'Glee'? SFX(25th) - APP REVIEW iExterminate! Guardian(23rd) - Should Tyler Brûlé get his just deserts after MediaGuardian 100 vote scandal? Doctor Who for the Simpsons? Sherlock a new Doctor Who? And Karen Gillan's mother approves of Matt Smith! Heatworld(22nd) - Jesus Luz vs Matt Smith – whose torso do you want to see? UGO(19th) - Doctor Who Is Coasting On His Rep As "The Pandorica Opens"
io9(19th) - Doctor Who ends and Being Human begins! After Elton(19th) - Interview: John Barrowman on "Glee" Rumors, His New UK Show, Having Kids and More! The media continue to speculate on Matt Smith leaving, but Karen Gillan has refuted this. Meanwhile, forrmer Doctor Sylvester McCoy is now being touted as portraying Bilbo Baggins in The Hobbit movie. Anglotopia(17th) - Doctor Who: Christmas Special News Round-up SPOILERS!!! Monsters & Critics(17th) - Matt Smith planning to quit Doctor Who job next year? The List(16th) - Matt Smith to quit Doctor? Now Magazine(16th) - Matt Smith to quit Doctor Who? TV Scoop(16th) - Matt Smith quitting Doctor Who? Newsarama(19th) - Post Game TV Recap: DOCTOR WHO S5E11 "THE PANDORICA OPENS"
A.V. Club(17th) - "The Pandorica Opens"
Escapist(17th) - Seventh Doctor to Play Bilbo Baggins? The Examiner(17th) - Doctor Who to possibly be in 'The Hobbit'? Cinema Blend(16th) - Has Former Dr. Who Sylvester McCoy Been Cast As Bilbo Baggins? The One Ring(16th) - Dr. Who (Sylvester McCoy) is Bilbo Baggins after all? Comics Alliance(16th) - Link Ink: Comic-Con Advice, BBC's 'Doctor Who' Comic, Who is Nick Fury? A report on Matt Smith allegedly indicating he's ready to leave DW for a movie career is starting to infect the media, though even if it is true it will have no impact on the new series being filmed of course! Meanwhile every enemy that's been in the series appears in the Guardian ... well apart from the mistakes they'd like you to fix - oops! Metro(16th) - Matt Smith planning to quit Doctor Who for glittering Hollywood career? Digital Spy(16th) - Matt Smith to quit 'Who' next year? Unreality TV(16th) - Matt Smith to leave Doctor Who role next year? Chicago Tribune(15th) - Take the poll: Is this the funniest season of 'Doctor Who' ever? The Sun(16th) - Who's that girl? Playbill(14th) - Michael Gambon to Appear in "Doctor Who Christmas Special"
flick filosopher(14th) - ‘Doctor Who’ thing of the day: What if the Doctor visited Springfield?